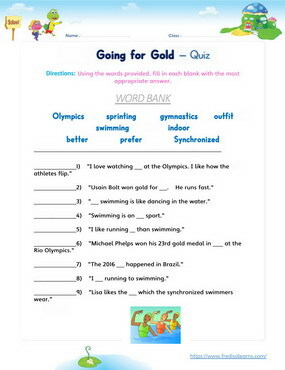 To get learners thinking about Olympic sports and the different ways of talking about them. 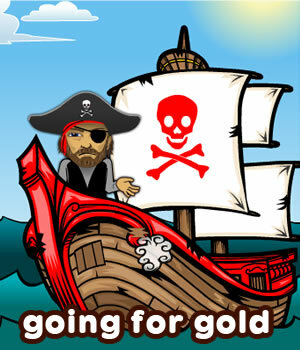 To teach ESL/EFL young learners vocabulary about the Olympics and how to express preference. This English lesson is meant to open up a bigger conversation about students’ favorite Olympic sports and to introduce classifications of sports under two main heading – indoor vs. outdoor sports. The worksheets below are useful for offline and classroom activities. 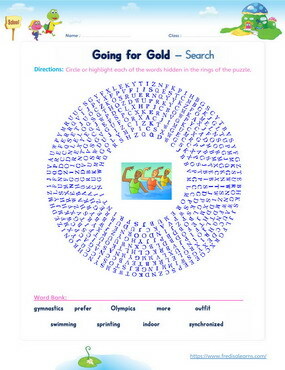 These printable exercises directly correlate with the above lesson 'Going for Gold'. Every worksheet comes with an answer sheet on the second page for educators. Freddie and Lisa are watching the Olympics on TV. Freddie’s favorite sport is swimming. Lisa also likes swimming, but she likes synchronized swimming because of the way the women dance in the water. 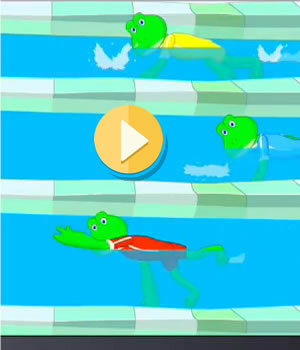 Freddie and Lisa talk about the different kinds of swimming races. Freddie roots for one of the swimmers to win. Then, the TV turns to gymnastics. Freddie likes watching the gymnasts flip in the air. Finally, Freddie and Lisa watch track and field. They watch the sprinters run really fast. Lisa cheers for them. 3. I like their outfit and the way they dance. 1. I prefer the races. 2. I prefer watching them flip. 3. I prefer running to swimming. 4. I like the synchronized swimming more. 5. I like running more than swimming. Freddie: I love watching the Olympics. I love swimming. Lisa: Why do you love swimming? Freddie: It is an outside sport and it is in the water. Lisa: I like swimming too. Freddie: Do you like watching the races? Lisa: Yes, but I like the synchronized swimming more. Lisa: When they dance in the water. Freddie: I prefer the races. Lisa: What race do you like the most? Freddie: I prefer when they are short and fast. Lisa: I like those too. Freddie: I also like the relays. Lisa: Is that where there are four swimmers and they take turns? Lisa: That is fun to watch! Freddie: I want the red swimmer to win. Freddie: What do you like about it? Lisa: I like their outfits and the way they dance. Freddie: I prefer watching them flip! Lisa: They are so strong. Freddie: Here is another outside sport. Lisa: What is this called? Freddie: It’s called track and field. Lisa: Is that like running? Freddie: Yes, Lisa. It is running. This is called sprinting. Lisa: Is that when they run very fast? Freddie: Yes, they run fast, but not for as long. Lisa: I prefer running to swimming! Freddie: Running is just like swimming! It’s just out of the water.